NETGEAR Armor - Built-in anti-virus and data theft protection for all of your smartphones and computers. Protects your connected home from internet threats. Included trial covers unlimited devices. 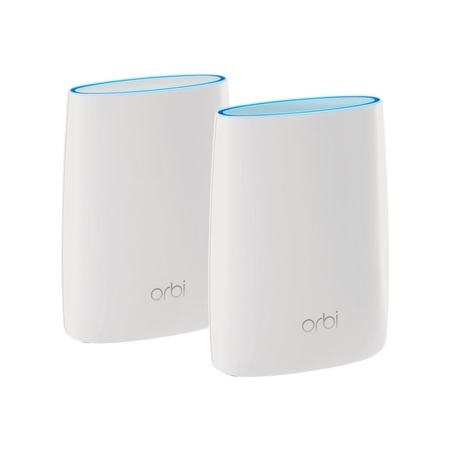 I bought this 2 device Orbi system (router + 1 satellite) for our condo after I had installed a 3 device Orbi system (router + 2 satellites) in our main home. After getting the unit set up on our Xfinity network, we tested the speed on speedtest.net. Download was 198.28 Mbps and upload was 11.44, which is over 5 times as fast as the default Xfinity wifi. this was a big upgrade from my other wireless router. it is super fast and reliable. i would recomend this router if your in the market for one. my older (7 yrs) hp laptop is much faster than before. Need WiFi for medium-large house? There probably is not an easier or more powerful WiFi setup for a home. I have full speed connections from anywhere in my house using this router and satellite. The price is high, but there was a big discount for in-store pickup which made it irresistible. This product has truly been life changing in my home. Fastest speeds I have ever achieved. No more dead zones. And full signal anywhere in my home. Great signals in the front and back yard on a quarter of an acre from the inside of a 3000sq brick house. I wish I had bought this Orbi RBK50 system sooner. Simply amazing! I am still in shock on how well it works!! Super easy setup, very powerful signal. Really a joy honestly. I had three routers in the house before and now I really could just get away with one as the router alone is very strong but coupled with the satellite, it is just nuts. I've had it up and running for a week and couldn't be happier honesly. We started with a Netgear Nighthawk, as recommended by Spectrun/Time Warner technician. With a $240 price, I was very disappointed in the Speedtest. We were getting around 35-55Mps, which is pretty good. When we tested it far away in a single, level home, we were getting poor signals. Granted, there was about a 75 ft distance from the router. I had been reading about mesh WiFi, and we decided to give the Netgear Orbi a try. Since there was a 14 day return window, we went ahead and bought it at $282. It was extremely easy to set up, and the speeds we are getting are exceptional. It was placed directly next to the Netgear Nighthawk. The speed tests were giving us 117 mps where we could hardly get a signal. Needless to say, the Netgear Nighthawk was returned. We have had the Netgear Orbi for a few weeks now and we are extremely satisfied with the results. Speed up your wireless connections. I have an ATT router with built-in wireless and an extender, but the wireless is always going down. I plugged the Orbi into the router which is on the side of my home and placed the satellite near the center. Now everything runs much smoother and faster. My house is about 2500 sq ft plus a large garage and patio area, and Orbi provides excellent coverage and speed everywhere, including the yard. 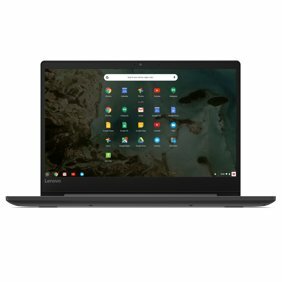 Easy set up with excellent performance. Our last router was 7 years old and pre kids. The old router's signal would not reach from the basement to the 2nd floor. The Orbi was super easy to set up (not a super techie person), and the signal works great throughout the house. Would highly recommend. It covers my 2500 sq ft home completely and covers most of my property outside 1.2 acres. So far so very good! Easy set up and no problems in one week of use! Our house is approximately 5000 sf with an additional apartment out back some 70 feet away. Signal and load allows us to stream from both locations so not too bad. CON- The support is uneducated and non-communicative. Meaning we bought another satellite Alexa voice. hooked up just fine but decided an hour later we wanted to connect it to another Amazon Family account. This action locked us into a never ending circle of Alexa asking us to register it but not accepting either account or password. Called support and after 30 minutes they told me it was a bug on my end causing a unsecured connection due to one of our connected devices causing a bug/glitch to it's networking ability... but the rest of the network is working fine? Told me to return it and hung up. 5 minutes later after uninstalling Alexa and Amazon apps then restarting the connection I am up and running. I reloaded Alexa and Amazon and everything is good. Lesson being - DON'T get a support contract because they don't know what they are doing and will blame it on something that makes it your fault not theirs. I don't need to pay someone to tell me tough luck. I would not suggest this product to anyone that needs a little help because Netgear's product support is really short and it isn't that great when you have it.